Ninety percent of car shoppers are more likely to buy from a dealership that offers messaging options, according to a 2016 Automotive Shoppers Study from online messaging software provider Contact at Once! With that in mind, digital marketing company Trader Corp. has partnered with Contact At Once! 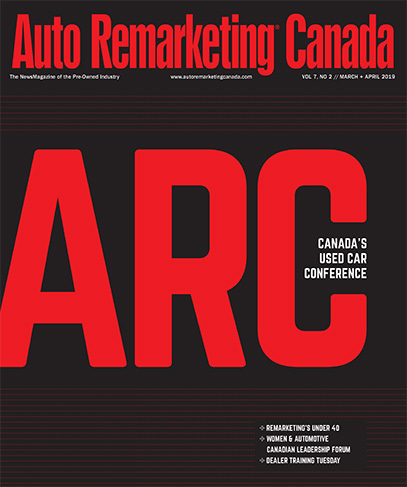 to unveil a new strategic partnership and messaging platform that the companies say will improve the car shopping experience for Canadian consumers. The companies are introducing what they call “conversational commerce” to the autoTRADER.ca marketplace and the new TAdvantage dealer websites across Canada. Trader’s live chat product allows consumers to communicate with dealers in real-time. The company says car shoppers using the product will spend less time seeking inventory and dealership-related information. That helps improve their car-buying experience and get them into the dealership sooner, according to Trader. — Chat Direct, which is a self-managed solution that autoTRADER.ca customers can use at no charge. Chat, text and in-app messaging on the marketplace are features of Chat Direct. — Chat Plus, which includes the same features as Chat Direct but with English- and French-speaking live agents available to reply to messages anytime. — Chat Total, which lets consumers and dealers communicate on the dealer’s website or almost anywhere else. The capability of car shoppers to connect with dealers directly from their mobile and desktop inventory listings allows automotive retailers to engage and communicate with customers on different channels. Trader notes that its messaging product will continue to evolve to include voice and video chat, along with options to drag and drop inventory directly into the message.